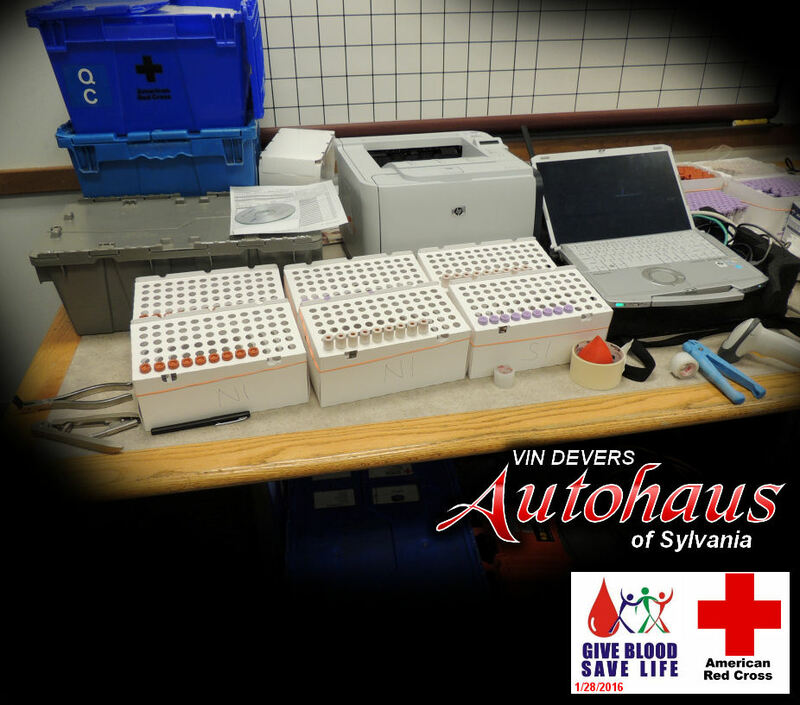 Vin Devers Autohaus of Sylvania has given back to the community for over 60 years! 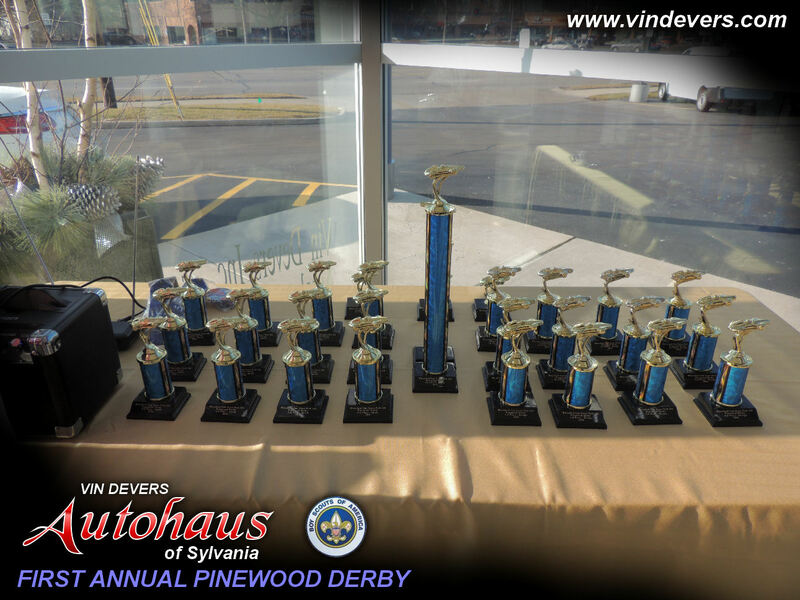 Whether its a charitable donation or holding a fund raiser, we take pride in donating our time and energy to contribute to making Sylvania and Toledo Ohio a better place to live! Today was a special day. 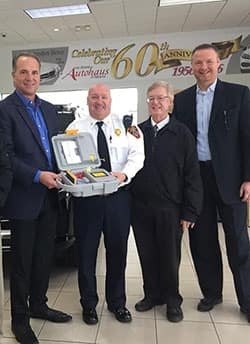 The Devers family donated a AED (Automated External Defibrillator) to the Sylvania Township Fire Department. They didn’t have one and would borrow as needed. Chief Ramm and his team are excited for the new piece of equipment. Pictured is Paul Devers, Chief Ramm, City Mayor Craig Stough and Jason Perry. 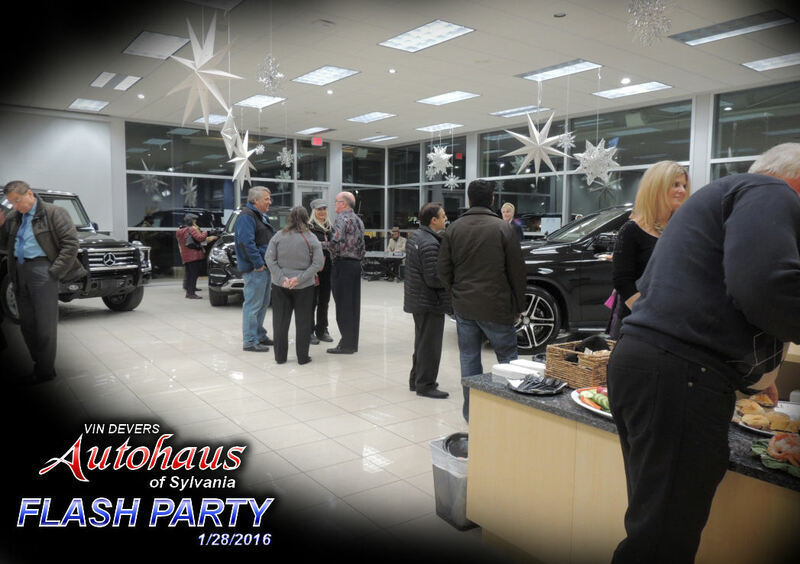 Join Vin Devers Autohaus of Sylvania this holiday season and take part in Home Instead’s Be a Santa to a Senior program. The program was created to bring joy to seniors who may not be near loved ones during the holidays. To participate, all you need to do is visit our dealership and pick a tree bulb from our Christmas tree. 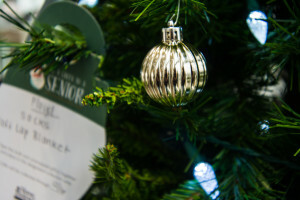 The bulbs contains gift ideas for each senior, so you can pick out the perfect present. Learn more about how you can spread holiday cheer and make a senior’s day. 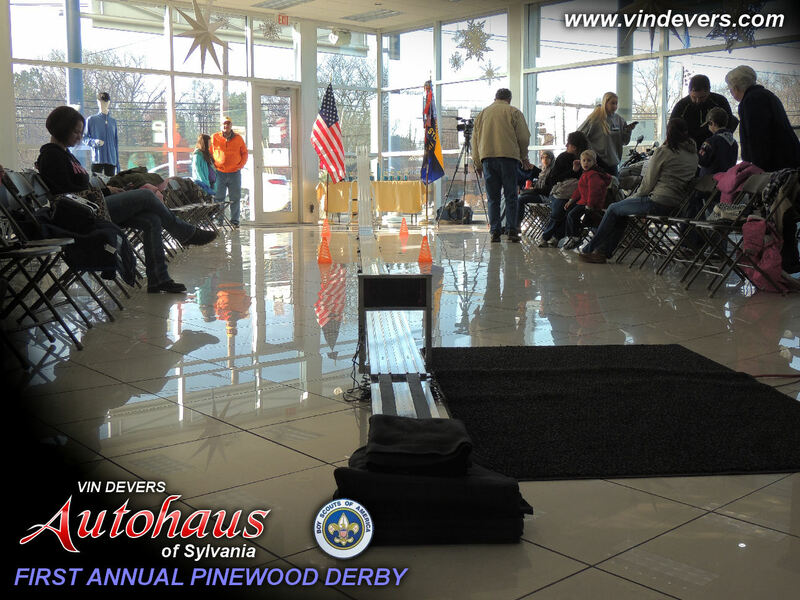 Vin Devers Autohaus of Sylvania has been actively involved in the fight to end Multiple Sclerosis for years. Paul and Thomas Devers’s mother suffered from MS when they were young, and this experience furthered the pair’s compassion for those fighting the disease. It also spurred their work with and contributions to the National Multiple Sclerosis Society Ohio Buckeye Chapter in an effort to find a cure. 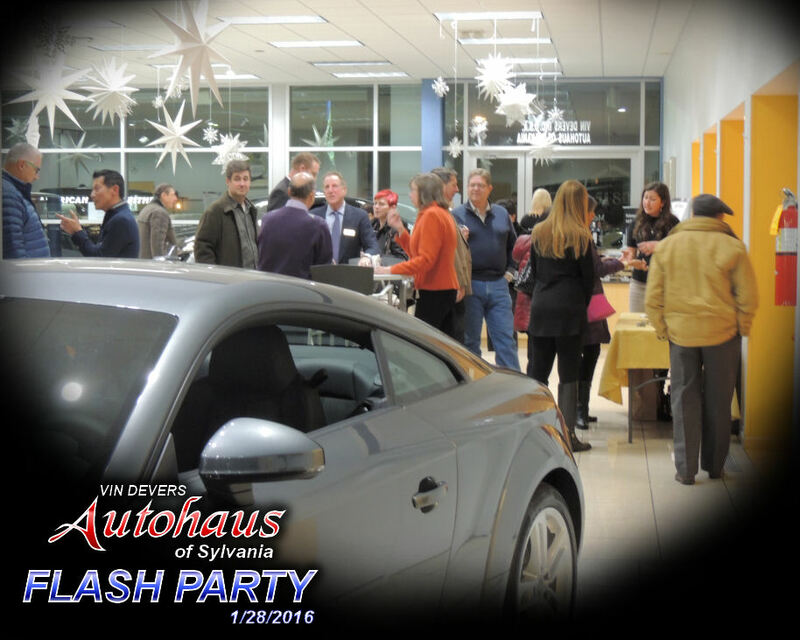 Most recently, the dealership hosted a benefit to raise money for the cause. 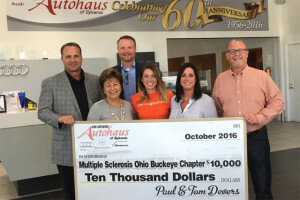 On Tuesday, Sept. 27 at The Pinnacle in Maumee, Ohio, Paul and Thomas were celebrated for their charitable work and donations towards the National Multiple Sclerosis Society Ohio Buckeye Chapter. 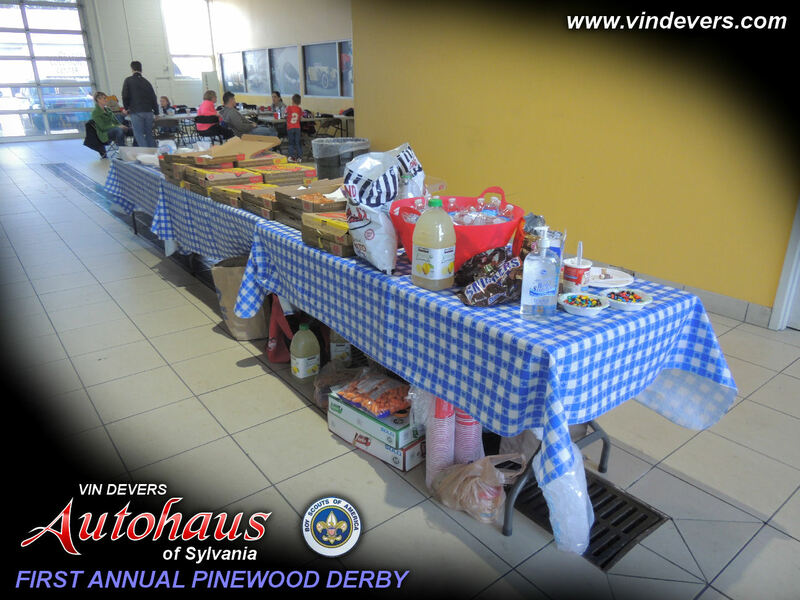 The banquet began with appetizers and light cocktails as local contributors, family and friend bid in a silent auction, which was made possible thanks to donations from local businesses. This was followed by dinner and dessert, where several guest speakers took the stage to educate the audience about MS, how it affected their lives, and what they did to overcome. 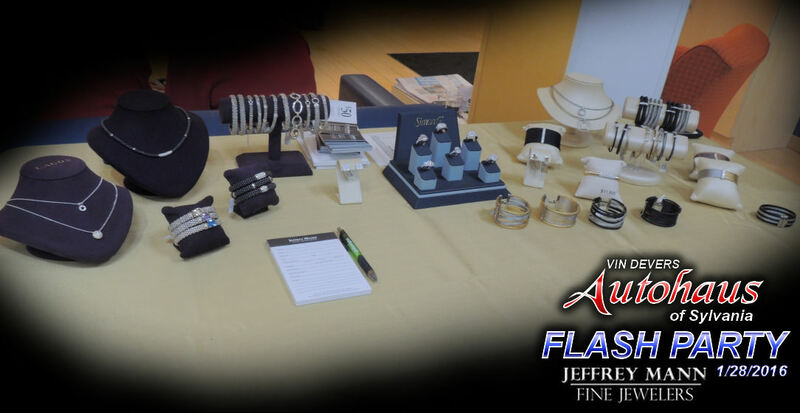 The event came to an end with the announcement that it had raised over $60,000 between the silent auctions and anonymous contributions, proving a huge success for the National Multiple Sclerosis Society Ohio Buckeye Chapter. 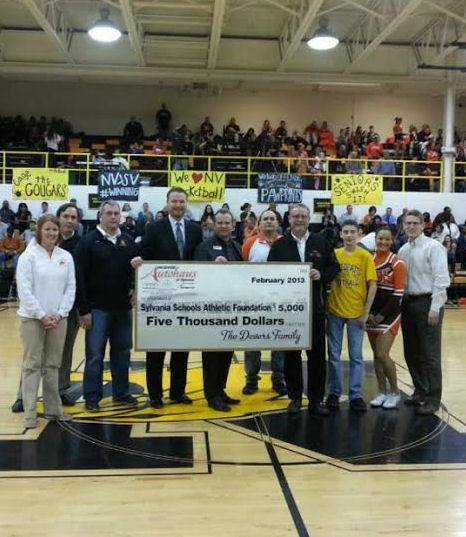 Vin Devers Autohaus of Sylvania donates $1,000 towards the Sylvania School Foundation, taken place at Southview Highschool on a half court shot attempt. 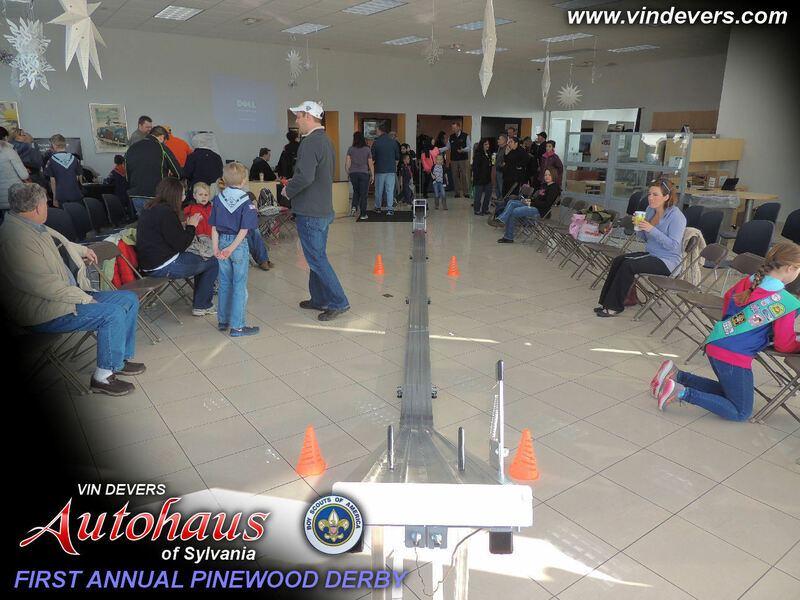 However, the $1,000 stake rises quickly… you’ll have to watch to find out!! 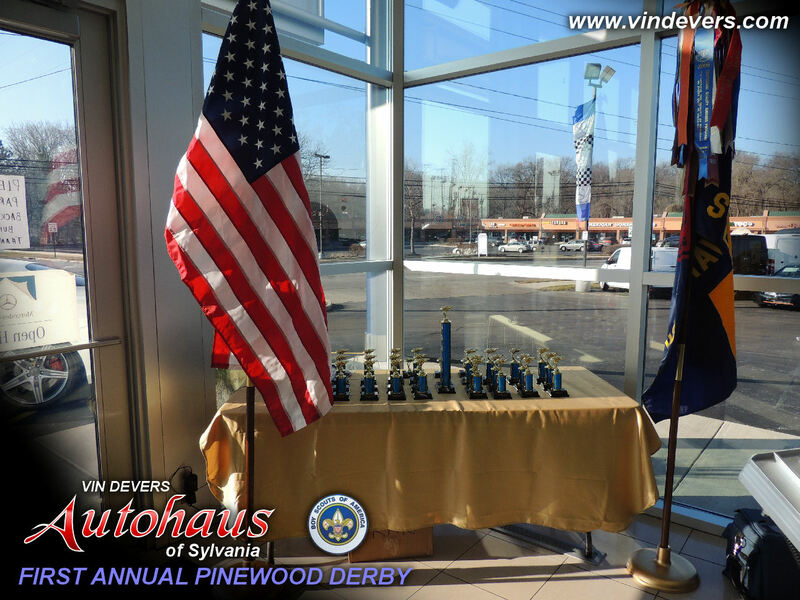 Paul Devers from Vin Devers Autohaus in Sylvania wants you to stop by and experience their top of the line customer service and quality vehicles. The video was shot at the 2015 Marathon Classic Women’s Professional Golf Tournament (LPGA) held at Highland Meadows in Sylvania, Ohio. 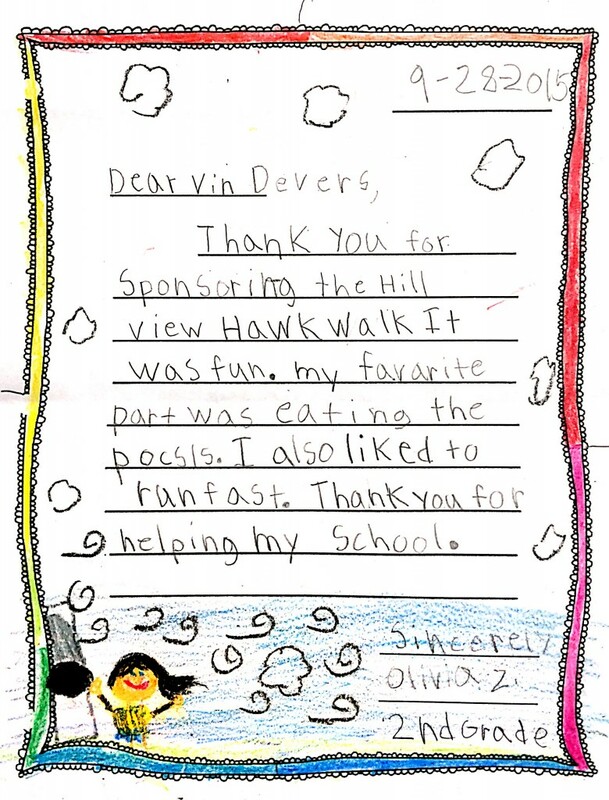 On September 25, 2015, Hill View Elementary School held it’s annual Hawk Walk. 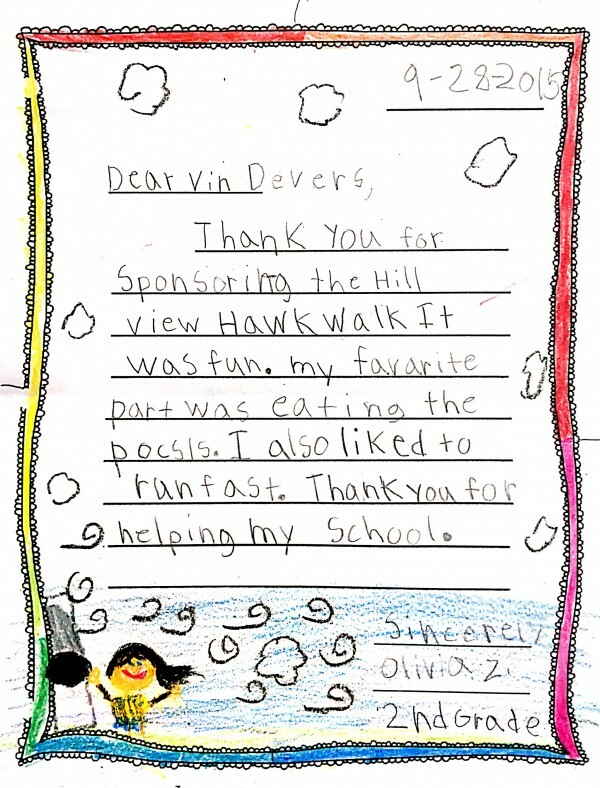 Elementary students were treated to perfect weather, a great DJ, and even a visit from Chuck E. Cheese – which translated into the students completing more laps than ever before!Vin Devers Autohaus is proud to support the community and the families we serve, and we especially love receiving colorful thank-you letters from the students! A blue genie surprised cancer survivor Trish Williams with three wishes Nov. 4.Joshua Dawson, the “Experience Genie,” dresses up in a blue genie mask to surprise deserving cancer survivors with a day of fun activities. After losing his own father to cancer six years ago, Dawson was inspired to help others forget about the circumstances of their condition in a way that he wasn’t able to help his dad. After “coming out of the lamp” in June 2009, Dawson has been able to surprise over 40 individuals. Williams, 60, has battled breast cancer for 12 and a half years. 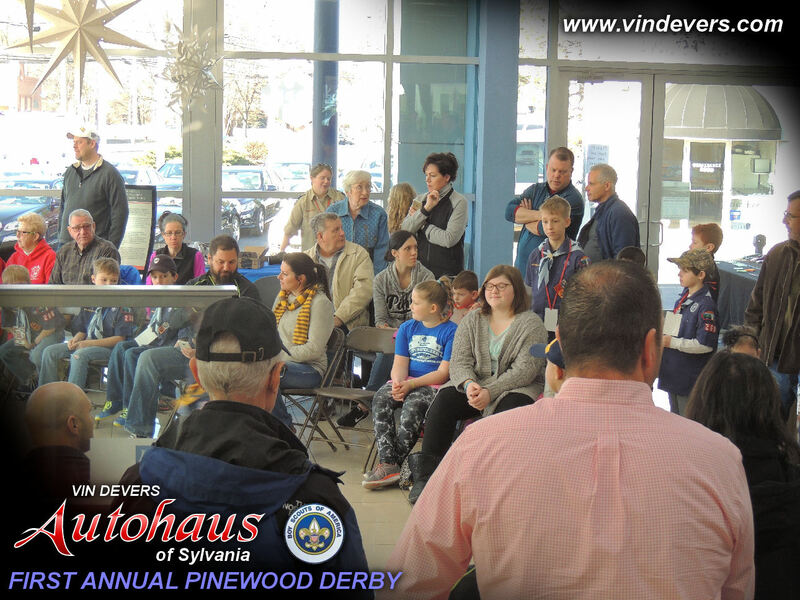 Expecting to speak about her experience with cancer, Williams was visibly overwhelmed when she was greeted by her family, the media and the blue genie at Vin Devers Autohaus in Sylvania. “I was very surprised,” Williams said. “I’m just stunned. It’s nothing I ever expected. Williams and the genie left the auto dealer in a $100,000 Mercedes G550 for the airport, where Williams piloted a plane for the first time.“If she’s taking controls of the plane I’m not sure I want to be there for that,” her husband, Tom Williams, said with a smile. After the plane ride, Williams received a special massage for cancer patients and a makeover from Ahava Spa & Wellness Center. Later she retired to the Hilton Toledo. First diagnosed with breast cancer in 1998, Williams went through surgery, reconstruction and chemotherapy. She went into remission for 11 years, dedicating her time to counseling cancer patients and coordinating fundraising events for local charities, including Bedford Township Relay for Life and St. Anne Mercy Hospital. Williams would call women with breast cancer before they received surgery to offer her support and advice through the process. One year ago, Williams’ cancer metastasized and moved into her bones. Her husband said she tired very easily and couldn’t get off the couch for months.“It was very, very bad last year at this time. We really thought she wouldn’t make it to Christmas,” Tom Williams said. Trish Williams received her last blood transfusion in the spring and is now in stable condition. She made it to the delivery room for the birth of her third grandchild, who is now 5 months old. As the Experience Genie, Dawson and his assistant, Ingrid Thornhill, work with local charities and cancer organizations to identify deserving candidates across the U.S. and in Canada. Locally, Renee’s Survivor Shop has been involved with Williams and coordinated the event with the Montreal-based Experience Genie. “Surprising the people is the best part,” Dawson said. “We’ve even had some people cry. Dawson dons a silicone mask that he had designed from historic depictions of genies. He can move his eyebrows, but is having a new mask designed because it’s difficult for him to talk. 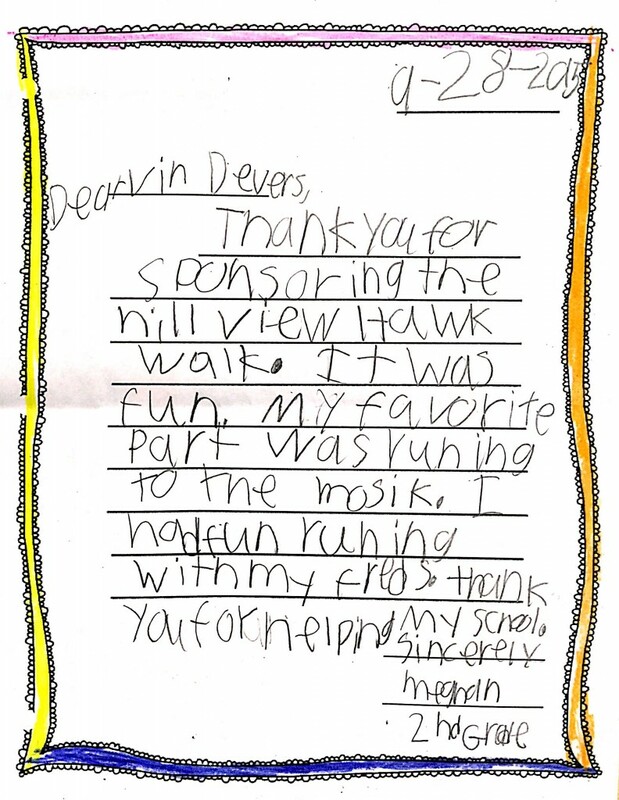 “We have local sponsors that provide the experience,” Dawson said. “When I first started doing it I was paying out of my own pocket, but that’s not very sustainable. 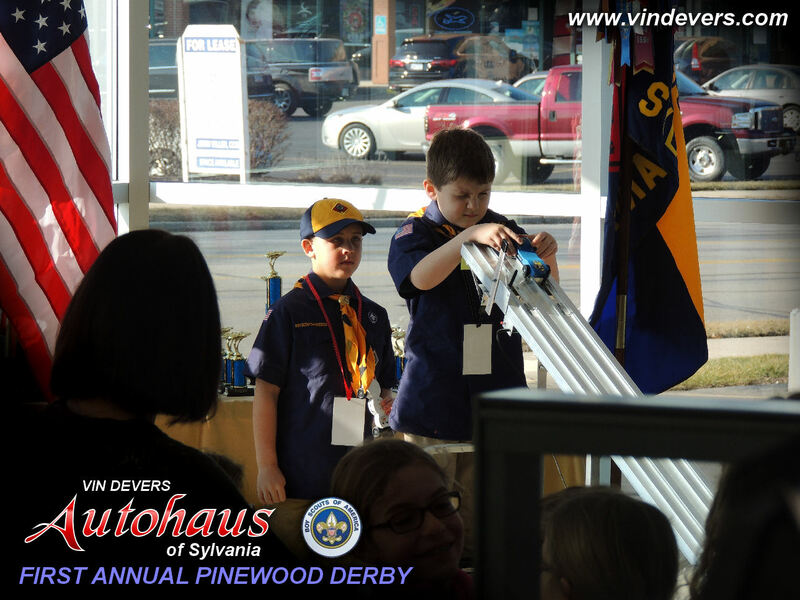 Jason Perry, Sales Manager at Vin Devers Autohaus, worked with the genie to make the event happen. 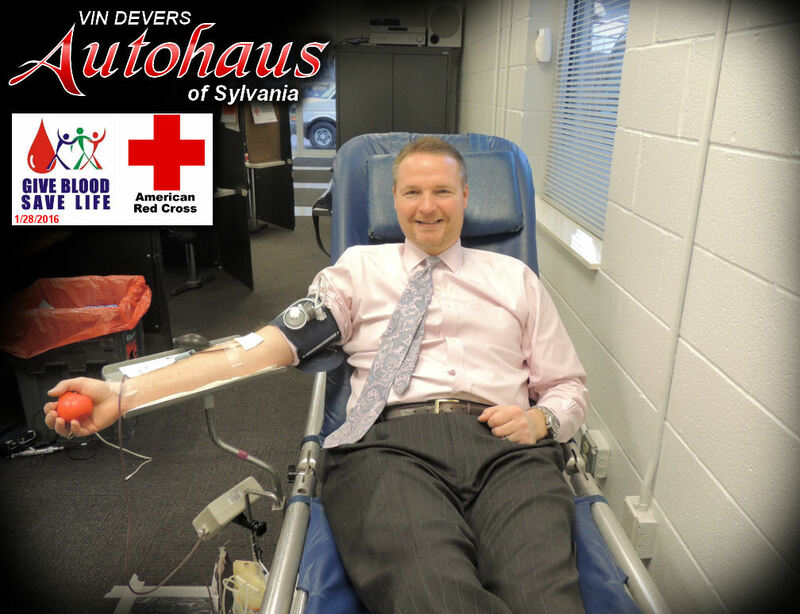 The Devers family believes in giving back to the community,” Perry said. “It was a no-brainer to get involved”. 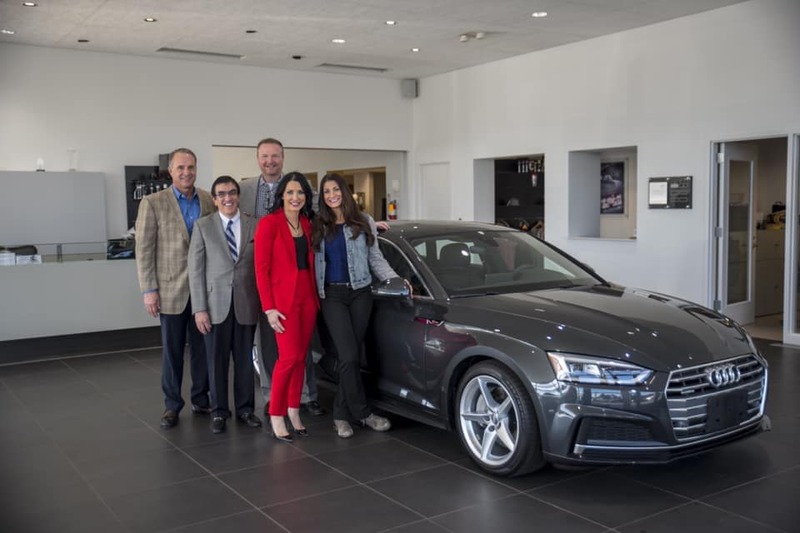 ”All of the employees at the dealership were present in the showroom to see the genie surprise Williams .“Not too many places have that kind of reception,” Perry said, and the genie nodded in agreement. Whether someone has named it Baby, Mean Machine, Love Machine or Old Faithful, many people are passionate over their cars. 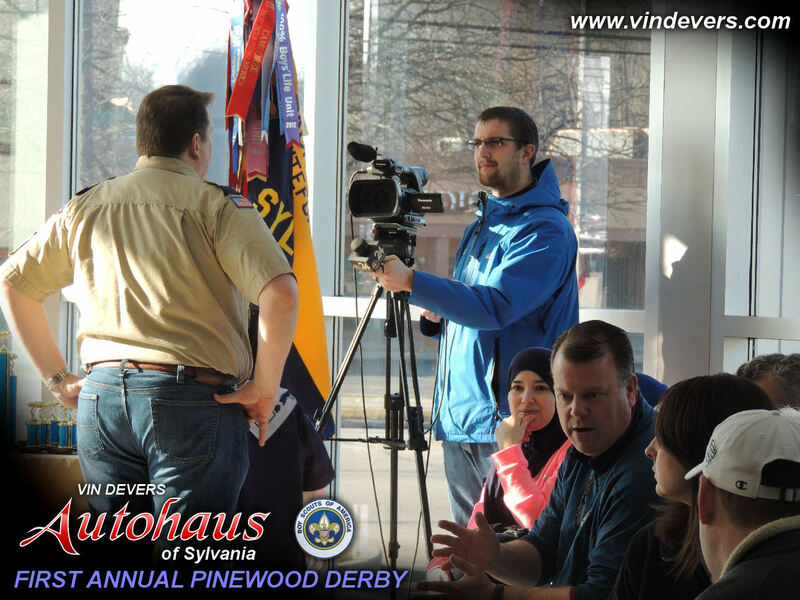 Where there is passion, there is opportunity to raise money for a good cause.What would one call a new 2010 Mercedes-Benz E350 if one won it in a car raffle? That is what Bill Ahern gets to decide. 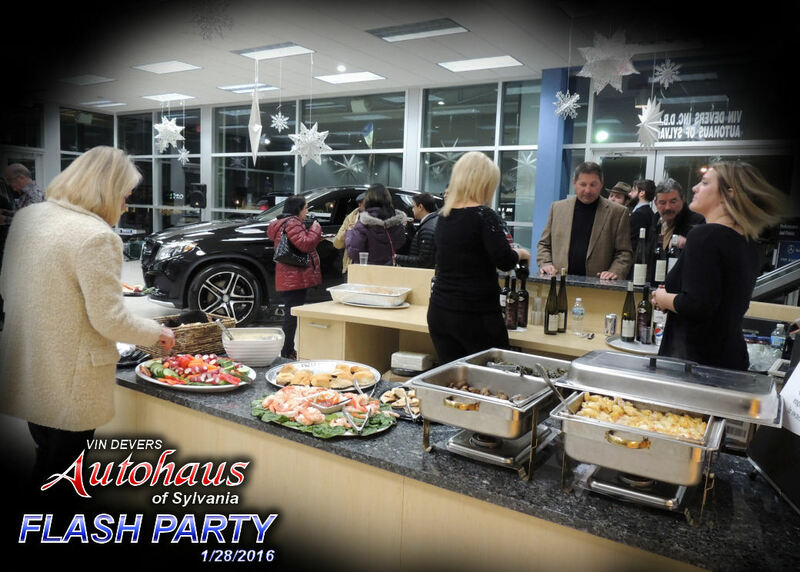 Ahern won the car in a raffle at the Toledo Children’s Hospital “Fame and Champagne” dinner at the home of Barbara Steele and Alan Kimpel.Initially the Toledo Children’s Hospital was doing what is standard practice in a charity car raffle. 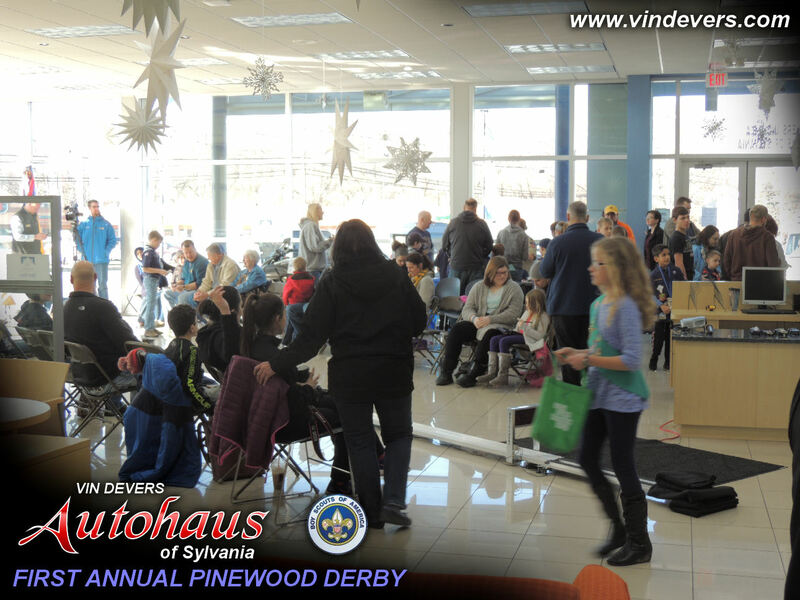 They were buying the car from the dealership and raising money off of the raffle ticket sales over and above the negotiated price. 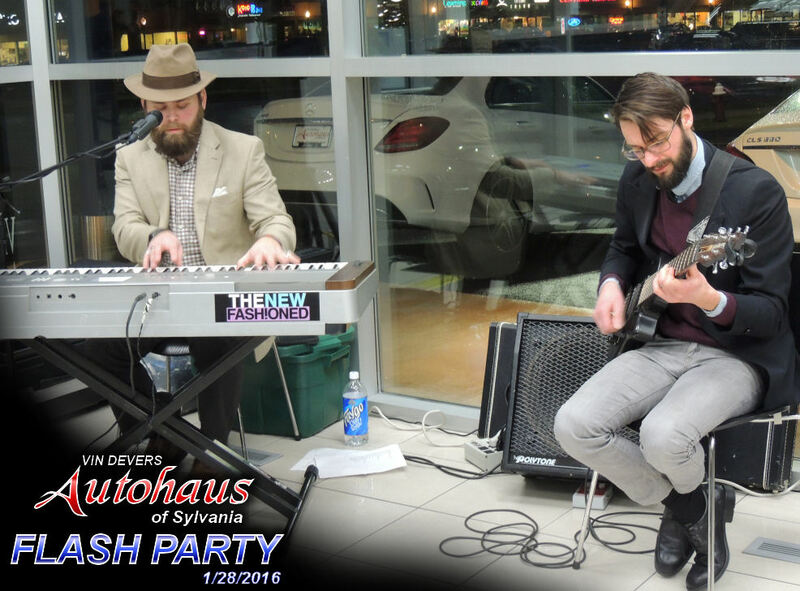 However the evening of the event, co-chair Rita Mansour made a gentle appeal to Paul and Tom Devers of Vin Devers Autohaus of Sylvania and asked them to consider making an outright donation of the car. They agreed. Regional President of ProMedica Health System, Barbara Steele said she was appreciative of the last minute donation. “We are especially grateful for Paul and Tom Devers’ generosity,” said Steele. 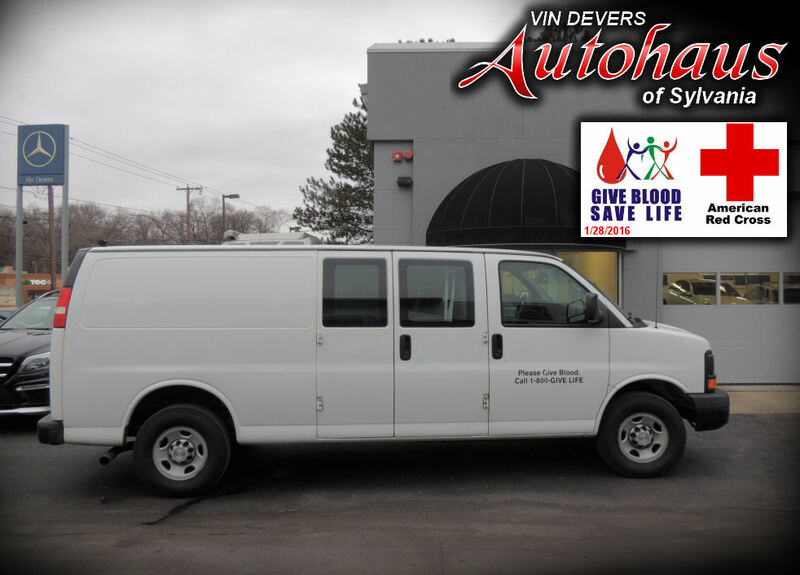 “The donation of the car from Vin Devers will make a significant impact towards our mission to provide new autism care services to our community. In addition to the raffle, tickets to the exclusive event, named “Fame and Champagne,” were sold to some of the hospital’s most loyal benefactors. 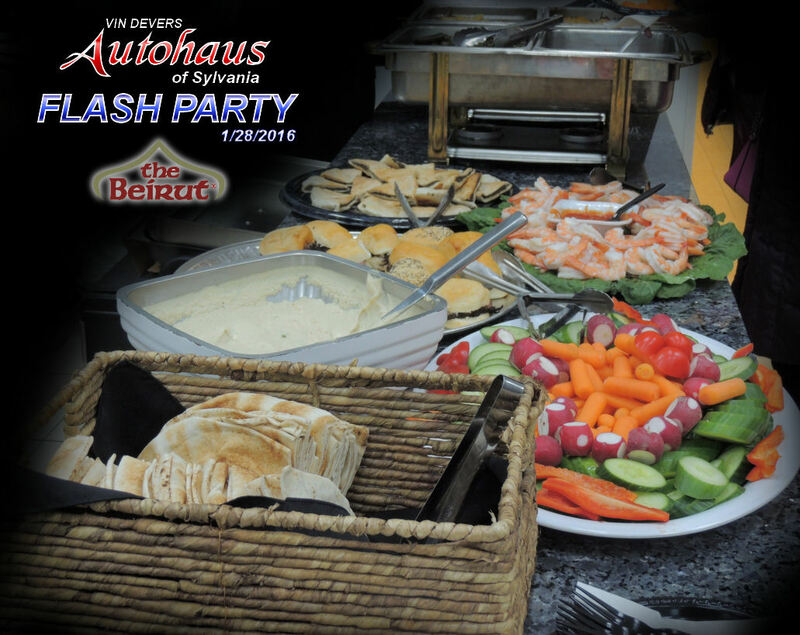 Guests were greeted with champagne and dined on tasty bites from local restaurants. 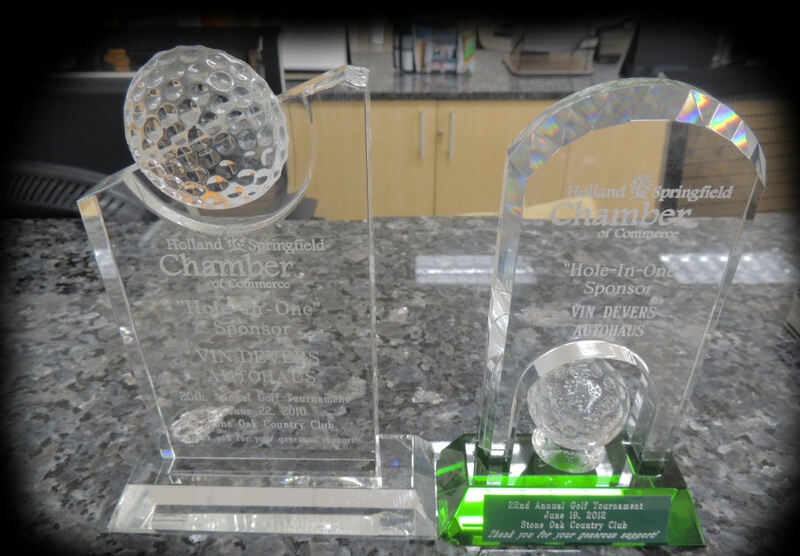 The event featured the “Fame” of golfing legend, Nancy Lopez and former NFL cornerback, Jeremy Lincoln. 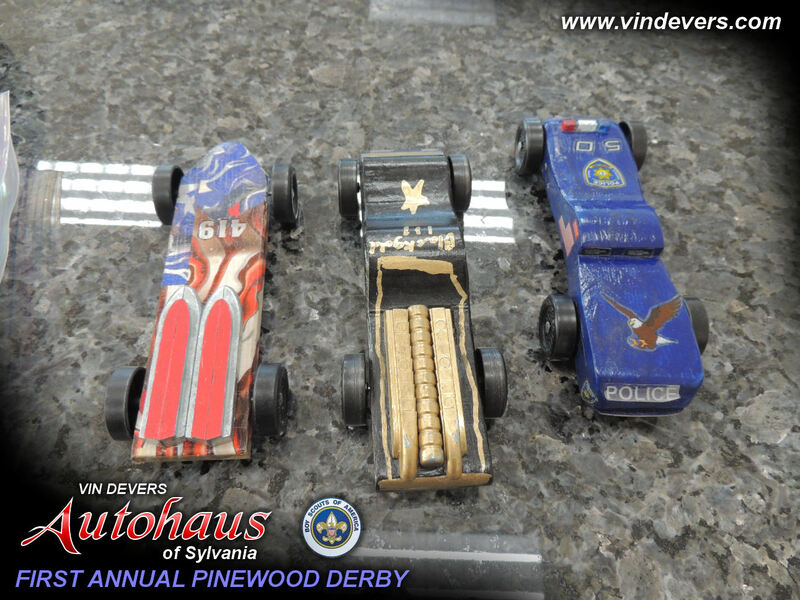 Mansour estimates that the raffle raised $115,000 including Vin Devers in-kind donation of the car, and overall the event raised approximately $235,000. Proceeds will be used in the new autism initiative at the Toledo Children’s Hospital. Another charity playing upon people’s affinity towards their cars was the Scott High School varsity and junior varsity football team. They recently held a car wash to raise money for equipment and team spirit items for coaches and players.About 25 players volunteered a few hours of their time to wash cars and collect donations. Together the team washed over 25 vehicles and raised $150. More than the cash raised, the event was about community support said Assistant Coach Willie Smith. “A lot of people donated money without getting their cars washed. The community supports us well. They donate money. They come and watch practice and support our players,” said Smith. Head Coach Mike Daniels said he is always impressed with the alumni support of the school.“Scott has a strong alumni support. It was great to see them come out and support not only their school but their community as well,” said Daniels. The Scott High School football team plays their season opener on Saturday, Aug. 29 at 1:30 p.m. on the former Scott campus. Christine Senack is a Toledo-based consultant helping non-profit organizations, businesses and individuals work smarter for the greater good of our community. On occasion she also presents the TMZ Report on FOX Toledo News First at 4. For more event photos and video highlights, connect with her at Facebook.com/christinesenack.